Rytons are experts in natural ventilation. Whether new build, self-build, renovation, refurbishment, boilers, stoves, fires, damp and condensation, we have almost 50 years’ experience with the venting complexities of them all and have extensive product ranges and knowledge to help. Quality is at the foundation of everything we do. From manufacturing well-designed products made of high-grade materials that last, to making sure those products are well packaged and dispatched quickly to sites, merchants and distributors. Our standards are high and we are proud of that. Whether you call us or use our online resources, our goal is to provide services that are efficient, friendly and as hassle-free as possible. That’s why we don’t ask for registration to access any of our website content – including UK Building Regulation-compliant ventilation calculators. That’s why we provide a free time saving acoustic evaluation service to house builders. And that’s why we have a sales team trained to provide technical advice as well as take orders. To offer peace of mind when buying or specifying we work with leading industry bodies for our testing and technical services. Find out more by clicking on the logos below. We used the product as there is an industrial building near the site that creates a noise issue and knew that the vent would provide an acoustic solution that window trickle vents would not be able to. The new houses are fully occupied and we know the vents are doing their job as we've had no feedback from the owners. Project: Keble Fields a selection of 3, 4 and 5 bedroom homes in Fairford, Gloucestershire using Rytons Super Acoustic background room vents. Yesterday I received the Weep Vents you promised me along with supporting literature. I wish to express how grateful I am to yourself and to Ryton’s for this donation. This kind gesture makes a difference to the quality of resources we can provide our students with and without company’s such as yours it would be extremely difficult to provide the standards that learners deserve. The window system on this project has very slim frames with no space to fit window trickle vents. The Rytons vents were a good solution to meet the background regulations and ticked all of the boxes we had. Project: £1.65M private extension and refurbishment in St Johns Wood, London. Morris Homes Midlands had a specific requirement to deliver acoustic insulation and ventilation at our site in Swadlincote. We chose the LookRyt AirCore product to deliver our ventilation requirements because it achieved the performance characteristics required, whilst also being the most aesthetically pleasing product we could find. We felt it would be unobtrusive in our homes, and the fact the interior cover can be decorated was a big bonus for us. The product is also commercially very competitive, readily available and easy to fit. We will be using this product again in the future. Project: Forest Grange, a collection of mews and detached homes in Swadlincote, Derbyshire. ... windows too small for the acoustic trickle vents and once found the AAC125HP it was no competition, great ventilation and cost effective. Will be using again. Very easy to install either as you go or before completion, and look great. Originally based in Purley, Surrey we began by manufacturing two products – Rytons Slim Vent Minor and Rytons Slim Vent Major. With plans to expand we relocated to Northamptonshire. Year after year we increased our sales team, stockists and product ranges (launching nine new products at Interbuild 1987 alone). Now in our current home of 25,000 sq ft office and warehouse space, advancements in technology allowed us to have greater creativity and provide a more efficient customer service. In 1999 we also encouraged people to ‘hook-up’ and ‘dial-in’ to our new technical website. In 2000 airflow calculation changes published in BS 5252-2 transformed us from merely a manufacturer, to an innovator and educator. Our passion and determination to inform the industry on the importance of compliant vents spearheaded us to our position as a leading authority on appliance ventilation. In 2012 we fulfilled our biggest product design ambition with the launch of Rytons LookRyt panel and AirCore sets. It’s no understatement to say that the unique draught-reducing and design benefits of the LookRyt range is what the industry had been waiting for and is our most popular design. 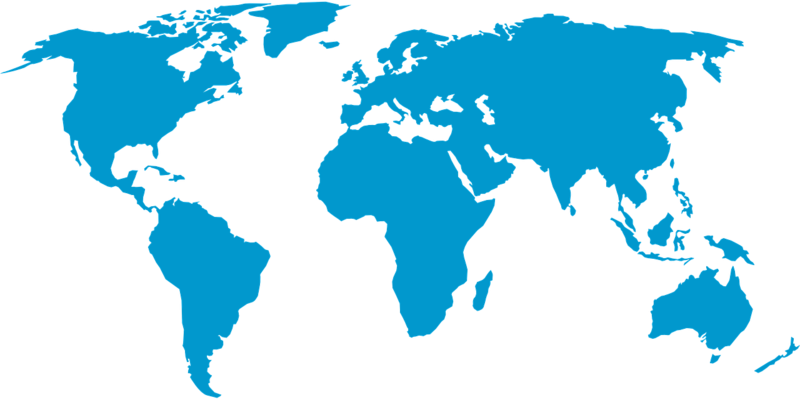 Our world map below shows many of the overseas countries we have shipped products to. You can also find out more about some of the interesting places and projects we have supplied to in our Projects and Places page.